Looks like one of my daughher’s ymca games when she was 6 or 7 except the goals are taller. The complete ineptitude on display by both teams is staggering. Wonder if it makes Sportscenter Top 10?!? Who were the 2 TN players guarding on the break? That was weirder than the circus preceding. That's some basketball right there. Watched about 5 times before I noticed the vandy player missed the uncontested layup. Wow, just don't know what else to say. Looks like players are badly out of shape. If you wait 5 more seconds the clown car comes out to half court and all 15 of them get out and hit a layup, free throw, 15 footer and 3 pt shot!!!!!! That should be Exhibit 1 in the Title IX appeal. Dear God. Its every negative stereotype of women's basketball in 22 seconds. How, oh how does it get this bad at this level? Unfortunately, this is no one-off of comic ineptitude; nope, we see this on an at least semi-regular basis. My personal favorite part is at the end when our two defensive players, I believe Z Green and Davis, literally turn and run AWAY from the basket as the Vandy player approaches it. Davis actually gives Green a push to make sure she's safely away from defensive position. Naturally, the wide open Vandy player bonked it off the bottom of the rim, so no harm. In fact, maybe Davis, having seen this movie before, was pushing Green to safety from the brick that was about to donk off the rim. I use gallows humor to keep from crying. This really is sad and outrageous all at once, and it never seems to get better. There was a SJW article complaining about how people should watch the WNBA as much as the NBA because blah blah blah feelings...and the end game for them is WNBA players making the same as NBA players. Yeah, no. Ban be from this site, but women athletes are no where near men. Have the national champs this year play against the TN high school boys champions. It would be a blood bath. But it's not politically correct to state the obvious. Should have dribbled or passed it back out to reset the offense. You can't actually believe they were executing an offense. I was waiting for the Globetrotters to trot out onto the floor because I thought the video was of the Washington Generals. No words for how bad this is. Wow. What a well oiled machine The Lady Vols have become with Holly. Any Warlick defenders should be forced to watch this on repeat for days. So many things wrong in this clip. Good for you. I hope your daughter, sister doesn’t have aspirations to play ball. Absolutely pathetic! It reminds me of the year the Florida Gator football players were shown multiple times blocking each other. I didn't watch the game today because they are so boring. Then I get a text from my son saying the program is in terrible shape. Now mind you he is a college kid and never really had any interest in the Lady Vols even when they were a lot better. He doesn't even monitor how they are doing good or bad. Like me, he did like watching Speedy play. I immediately ask him what happened? 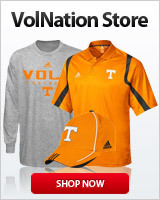 Did they lose to Vanderbilt? I checked the score before he responded. I was happy to find they at least won against a mummified Vanderbilt program. Then he responded people on social media are making fun of them. This video has already been viewed over one million times. I "used" to agree with your grandpa regarding the Lady Vols at least...that is until Warlick took over. What is even more incredible is this was the start of the game. One of the players appear to be Davis. I have a feeling both players stayed in the game.